Four academics from Flinders University’s Yunggorendi First Nations Centre have received funding for a project that will see them collaborate as multi-media artists. Collaborating as a collective for the first time, the four artists will work on a multi-stageproject, Bound and Unbound: Sovereign Acts – decolonising methodologies of the lived and spoken. The multi-site project will develop a series of performances, projections, installations and dramatic pieces that enact intergenerational transformations of old and new stories. Part of the work focuses on critical responses to the one-sided representations and characterisation of Aboriginal people by colonial art, literature and history, and involvesreimagining narratives from an Aboriginal perspective. ‘This experimental work aims to explore complex ideas of being both bound and free; what we are bound to historically and, as sovereign people, what we choose to bind ourselves to and unbind ourselves from, both now and into the future,” said Ali Gumillya Baker. Ms Baker was a contributor to Historia, the recent exhibition at the Adelaide Town Hall. Her work, Tall Ships, employed a mix of imagery and performance to examine the themes of sovereignty and the weight of colonialism, and to celebrate the continued resistance to symbols of invasion. The first stage of Bound and Unbound will take the form of an exhibition at Fontanelle Gallery in Bowden to be opened on Sunday 24 August by Dr Julie Gough. Dr Gough and Brigid Noone, Director, Fontanelle have been curatorial mentors on the project. 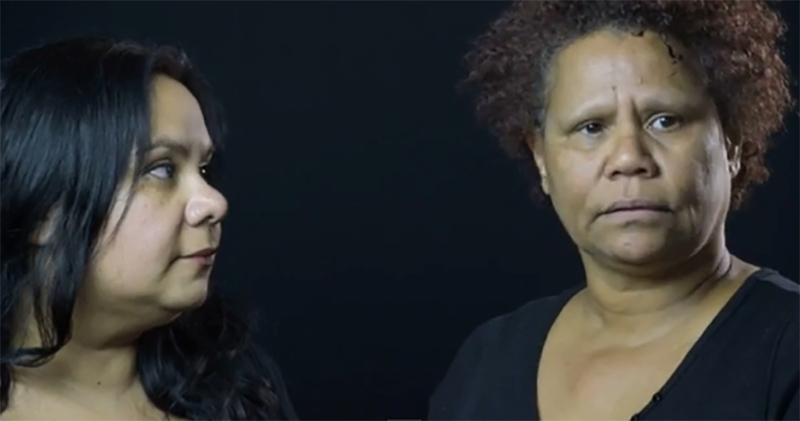 Yunggorendi Director Simone Ulalka Tur and lecturers Ali Gumillya Baker, Faye RosasBlanch and Natalie Harkin have been funded by, the Australia Council for the Arts through its Indigenous Experimental Arts Fund and from Arts SA, and ATSI Arts Development program.